Isobar has been designated as Acquia Growth Partner of the Year for EMEA. The recognition follows Isobar’s innovative B2C solutions in response to the demand for customer-centric experiences that drive growth. Acquia builds upon Isobar’s existing consulting capabilities and ensures excellence in delivery in Isobar’s end-to-end service offering for clients. 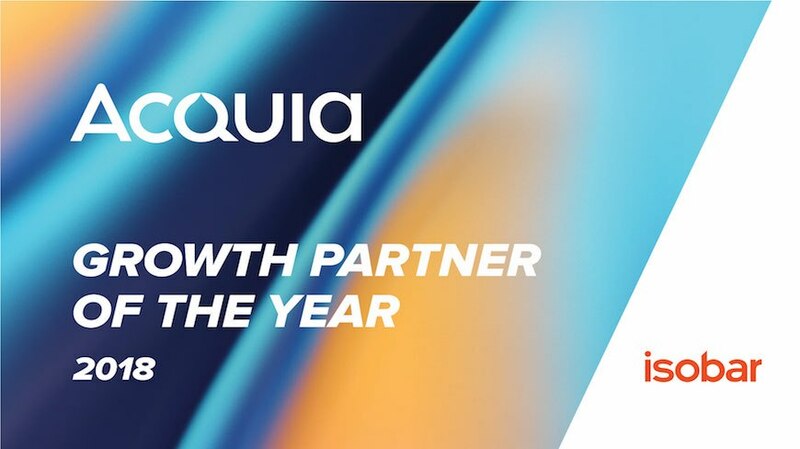 Acquia rewards partners with a strong multi-regional sales growth from 2017 to 2018 who promote customer engagement through innovative and personalised digital experiences using their technology, for industries including luxury, FMCG, finance and more. Isobar has been recognised twice in a year, in the US, we were awarded the Acquia Engage Award - Lightning in a Bottle Category in 2018 for our outstanding digital experience delivery. Isobar creates innovative B2C solutions as a response to the demand for customer-centric experiences that drive growth and build upon Isobar’s existing consulting capabilities. Acquia strengthens Isobar’s strategic capability and ensures excellence in delivery in the end-to-end service offering for clients. Isobar consists of more than 6,500 digital specialists across the global digital agency, Isobar’s network of 45 markets. This recognition supports Isobar’s transformation consulting global offering, leveraging the agencies data, customer experience, and technology expertise to create experience-led transformation.